Born: August 3, 1891 in Brockton Ma. 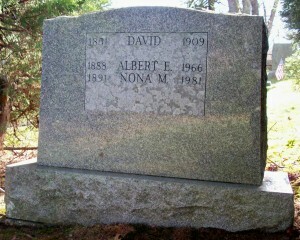 Died: December 1981 in North Falmouth Ma. Where Lived: North Falmouth Ma. 1. David Landers: David was born in North Falmouth Ma. & died young. 2. Warren Stearns Landers, WW ll; (March 27, 1918 – March 8, 2009); Married Barbara Emily Whaley in Falmouth Ma. on October 12, 1944; Warren is buried in Cataumet Cemetery.